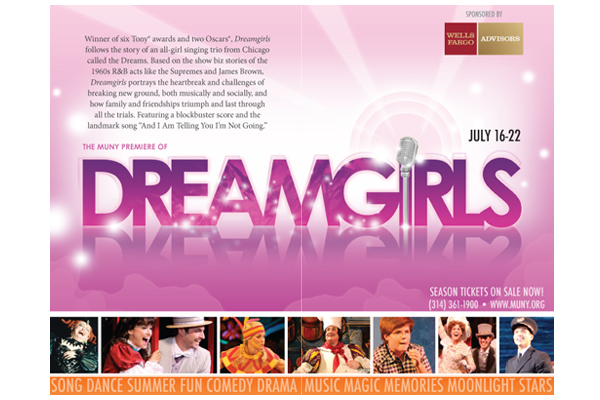 Logo for the 2012 Muny production of Dreamgirls. 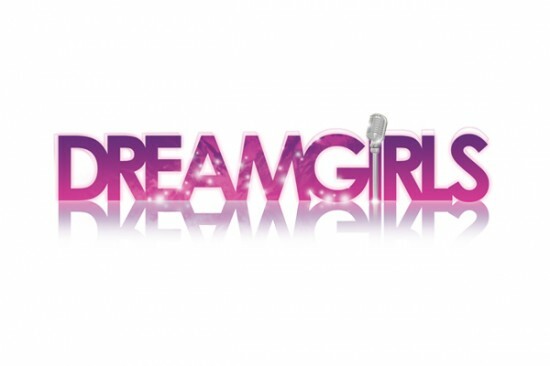 Early comps of this logo were very much rooted in the aesthetic of the 60s and the Supremes, but things eventually moved to a more modern suggestion of glamour and glitz. 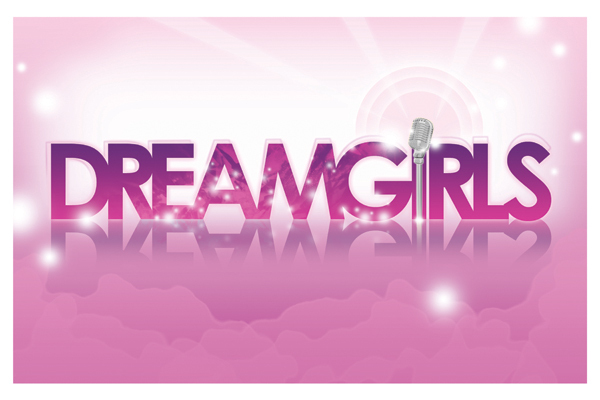 The logo needed to tap into both youthful ambition and pro diva attitude.